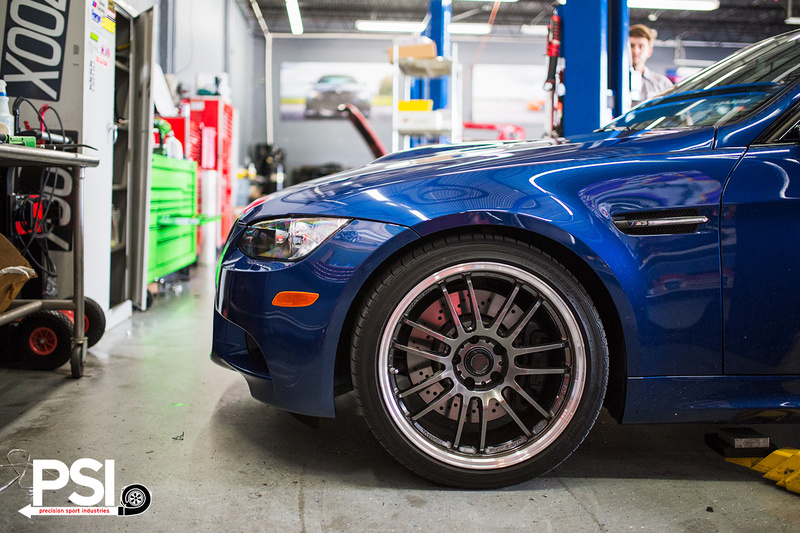 Precision Sport Industries got their hands on a BMW E90 M3 sedan to work on improving the sound of the popular sports car. 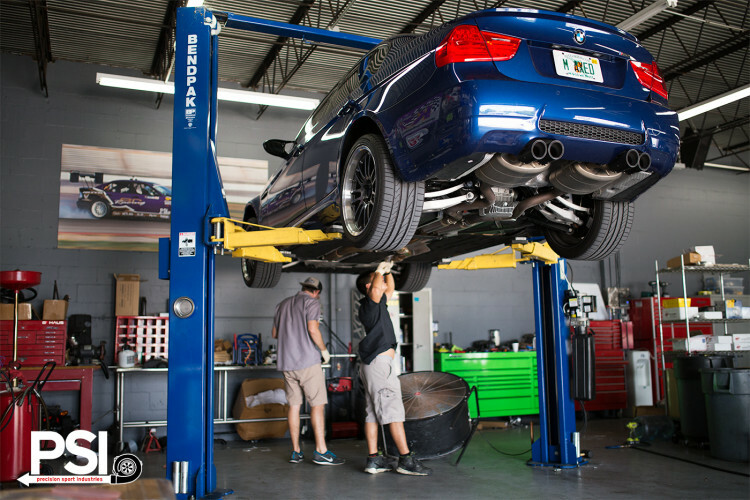 The Florida-based shop installed an Akrapovic Exhaust System on the BMW E90 M3, a system that allows the naturally aspirated engine to show off its V8 powerplant and growl even better, while offering a small performance increase. 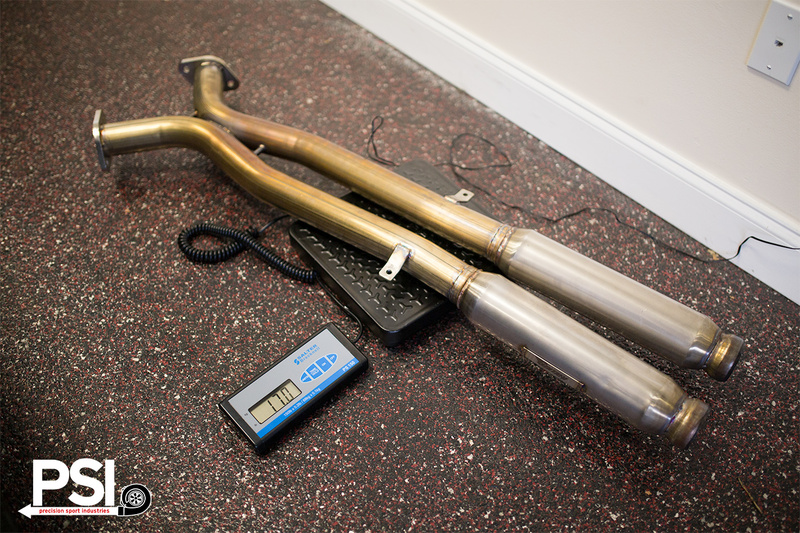 The photo gallery below showcases every step of the installation and the final product. Similar to the previous M3 generations that introduced a new engine, the fourth generation BMW E90 M3 did the same – the BMW S65 V8 engine. The engine produces 414 bhp (309 kW; 420 PS) at 8300 rpm, with peak torque of 295 lb-ft (400 Nm) at 3900 rpm. A six-speed manual transmission is standard. 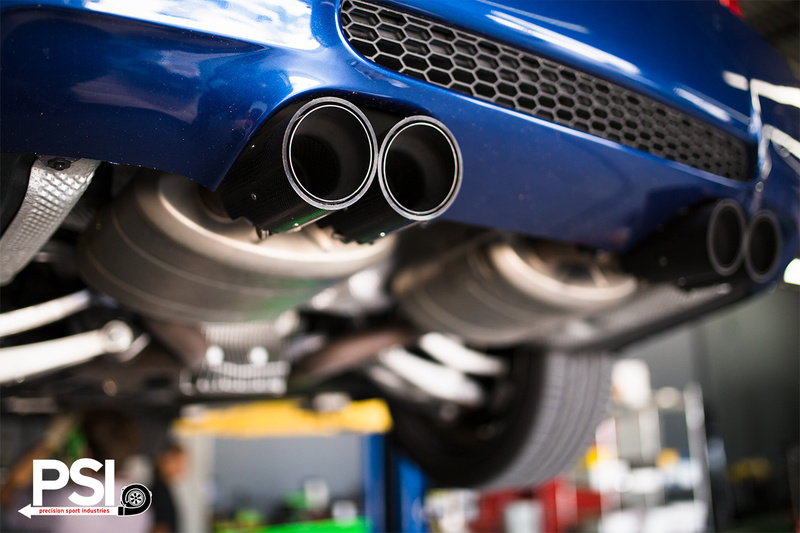 As of April 2008, BMW offered a new seven speed Getrag double-clutch gearbox, called M-DKG (Doppel-Kupplungs-Getriebe) or M-DCT (Double Clutch Transmission) as an option, which reduces shift pauses to less than a tenth of a second and shortens the car’s 0-100 km/h (62 mph) sprint time by 0.2 seconds vs. manual. It features both automatic and manual modes similar to the SMG gearboxes in the E36 and E46, but with more speed and efficiency. Top speed is 155 mph (250km/h) electronically limited where a delimited car will achieve 178 mph (286 km/h).